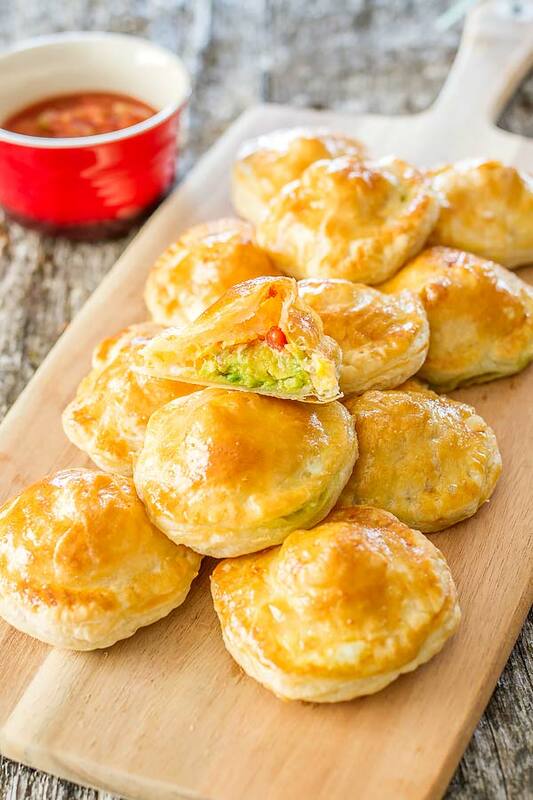 If these puffs missed from your New Year’s Eve table, my bad but there will definitely be other opportunities to impress your guests with your cooking skills. When I say impress, I am not exaggerating, these pastries are simply amazing, they melt in your mouth and my greatest satisfaction when making them was that I didn’t actually have guests to share them with. 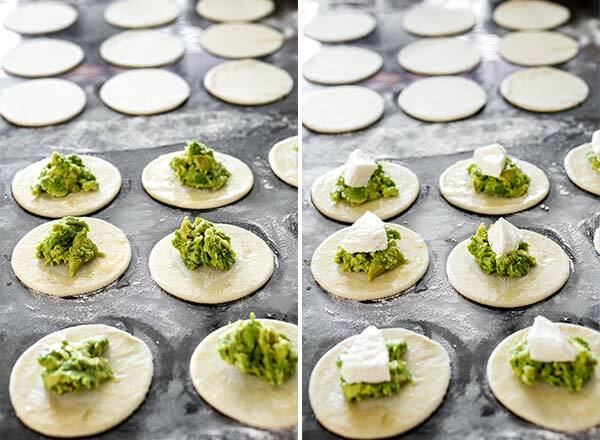 Now, I am not crazy about avocado, unless is well mixed into a salad or burrito, making a pastry with it was kind of a stretch but fortunately, it wasn’t my idea. Combine with mozzarella and salsa and the result will blow your mind… and your taste buds. Did I mention is way too easy to make? You can have these little things ready within thirty minutes, if you know your way around the kitchen. Don’t bother making your own puff pastry though because that will take you a couple of days, just buy a package from the store and get baking. If you have a big family, make sure you make enough, they tend to disappear fast and you want to taste the fruits of your work too. Enjoy! Preheat oven to 400° F / 205° C. Line a baking sheet with parchment paper. In a bowl mix the mashed avocado with the lime juice and freshly ground pepper. Roll out the puff pastry sheets so that they are about 12" x 16". Using a 2 inch round cookie cutter cut 12 circles in each sheet. You should get 24 circles from both sheets. We will use 12 circles for the bottom and 12 for the top. Brush a bit of the egg wash on the edge of each circle, for the first 12 only. 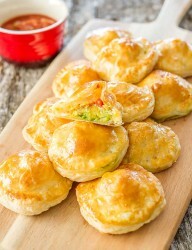 Top 12 circles with a dollop of avocado, a piece of mozzarella cheese, and about a tsp of salsa. 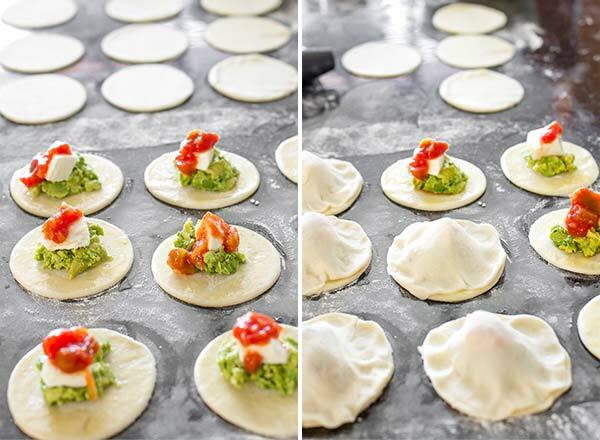 Take the other 12 circles of puff pastry and place on top of the ones with the filling and stretch them if needed to completely cover the bottom circle. They will look like little sombrero hats. Using a fork seal the edge of each circle. Brush with egg wash.
Bake for about 12 minutes or until golden.